I never knew a Swede was a rutabaga – love the new shot, so different from your usual (and terrific) styling. Thanks, Liz. It’s a Swede in the UK and where my son learned to love them. The name has stuck ever since. Yes! I love this recipe! Root Veggie Gratin! Will try this one out! Yum! Veggies and cheese!!! How can it be anything less than absolutely delicous! 😉 Thanks! I’d serve that gratin as a main dish. Scrumptious! This is absolutely gorgeous. I always love your recipes and your photos. But this one has got to be my favorite. Just stunning. It makes me hungry. Love the addition of rutabaga and sweet potatoes, the flavors and colors are striking! 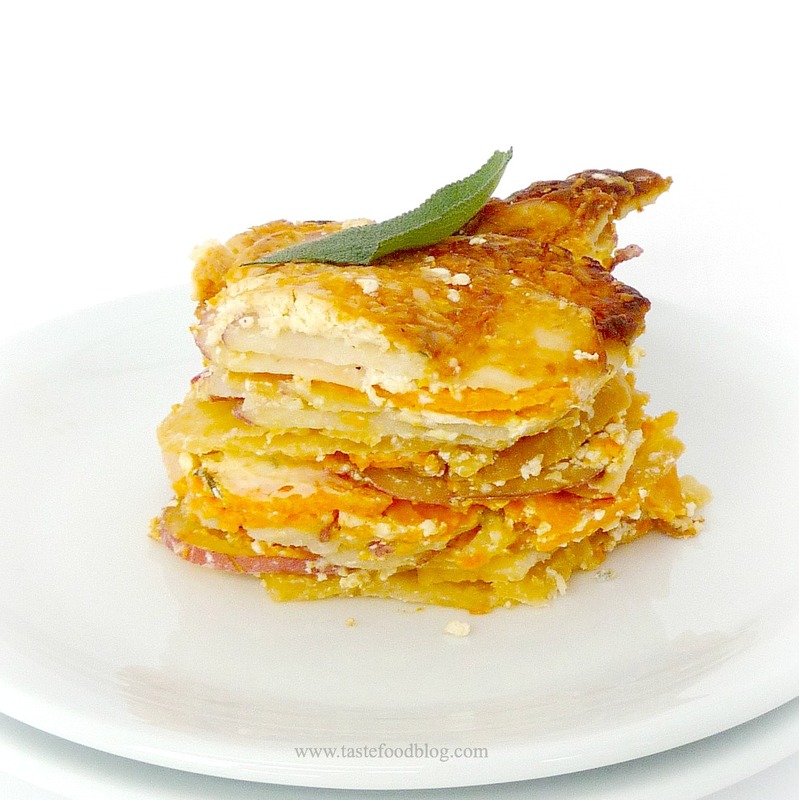 A refreshing update to the traditional autumn gratin! Now that is one beautiful stack of goodness! he incorporado esto a mi lista favoritos.